Australian charities, Not for Profit organisations and churches have warned that the Not for Profit sector could face greater regulatory burdens and costs if the Abbott Government abolishes the national charity regulator. The Department of Social Services released 60 submissions made in response to the Government’s options paper on the Australia’s Charities and Not-for-profits Commission (ACNC) under Freedom of Information laws. Organisations and individuals took the opportunity to assess the Government’s plan to get rid of the ACNC and instead require charities and Not for Profits to maintain financial information on their websites. World Vision Australia urged the Government to retain the ACNC and abandon its plans to change reporting and registration requirements. “We do not believe that the proposed new reporting arrangements would ‘achieve the right balance between the need for public accountability and a commitment to not burden organisations with unnecessary reporting obligations’,” World Vision said in its submission. World Vision said by requiring organisations to maintain websites that were transparent and contained accurate financial information, the Government would be enforcing more regulatory burdens on them. “[The] ACNC’s reporting requirements (namely, the Annual Information Statement) are not time-consuming. By way of contrast, WVA estimates that in FY13 it spent in excess of 13,000 hours in fulfilling reporting obligations to other government departments and agencies (at both a Commonwealth and State level), most notably, grant acquittal and reporting obligations to the Department of Foreign Affairs & Trade (DFAT – formerly AusAID),” the organisation said. World Vision’s sentiments were echoed by other organisations. 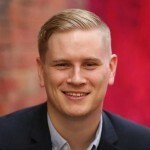 Jeffrey Bartlett made a submission on behalf of Australian Christian Churches in which he said the Government’s proposals would reduce transparency. “The requirement for charities to maintain information on their own website would be onerous and expensive for many of our members who may not even currently have a website,” the submission said. “This would indeed not reduce compliance burden, but rather increase it as charities need to format and present their own information on their own website rather than making use of the template entry style currently required. Heather Neill, CEO of RSPCA Australia said in her submission that changing the regulatory landscape of the Not for Profit sector would create negative issues. “The current reporting requirements are not a burden. Changing requirements will again divert resources,” Neill said. “Transparency of reporting by organisations that have charitable status is an expectation of donors and is nothing that any organisation that is legitimately focused on its purpose should be concerned about. The Australian Council of Social Services (ACOSS) said that the sector had gotten used to the ACNC and changing the situation around it would be a mistake. “While some problems did emerge through the initial implementation phase of reporting to the ACNC, organisations have now provided this information and we stand poised to see the ACNC deliver on a key value-add: the provision of a central register of information regarding the NFP sector,” ACOSS said. “We agree with the Government on the need to get the balance of reporting right. However we believe that a small reporting requirement is a worthwhile investment in towards providing accountability and transparency to funders and the general public, particularly for organisations in receipt of significant tax concessions or funding from Government and other donors. There were only a handful of detractors who said they felt the ACNC had created an unnecessary amount of red tape in the sector. Ross Fox wrote on behalf of the National Catholic Education Commission that the ACNC should be abolished. “The NCEC strongly supports removing the excessive regulatory burden and unnecessary regulatory duplication [the ACNC] imposes on schools,” Fox said. “Non-Government schools, as highly regulated Not for Profit entities, should not have been included in the ACNC regulatory regime from the beginning. Canio Fierravanti wrote on behalf of the University of Wollongong that reporting to the ACNC was a distraction. “The Public University sector is already closely regulated by Commonwealth, State and Territory governments and the ACNC has been unnecessary as a regulatory measure for the University sector,” Fierravanti said. “We welcome the proposed approach to monitoring and compliance as the governance, quality, efficiency and transparency of university services is already closely regulated. It is our view that no additional transparency measures are required for a sector that already reports to an array of regulators (for example the Tertiary Education Quality and Standards Agency) and is subject to State and Federal scrutiny through the application of the laws, regulations and by-laws. CEO of Community Council for Australia (CCA), David Crosbie, argued that the Government had not consulted enough with the sector on its plans for the future of the regulation. Crosbie said the ACNC had been welcomed by the vast majority of organisations and that the alternatives presented offered an “un-enforceable ad hoc approach of relying on website listings”. “CCA does not support the very limiting consultation process and does not support any of the proposed options for replacing the ACNC,” Crosbie said. The full list of submission can be found here. The terrible thing about this was the refusal of the DSS to release submissions and forcing someone to pay them for releasing these submissions.This is a first in the charities issue it merely smacks of the department becoming politicised in its dealing with charities and refusing to be open. . It reflects poorly on the department,. Treasury ran this much more fairly and openly. Why is the DSS so secretive ? It is the question it has to publicly answer. I think that some of the arguments against are totally misleading and in fact provided an facilie criticism . It would be better and easier for them to argue that their existing reports be accepted by the ACNC or is perhaps they want secrecy.